The Alubox Regency Post Box is available in 3 different colours (red, black and rustic). 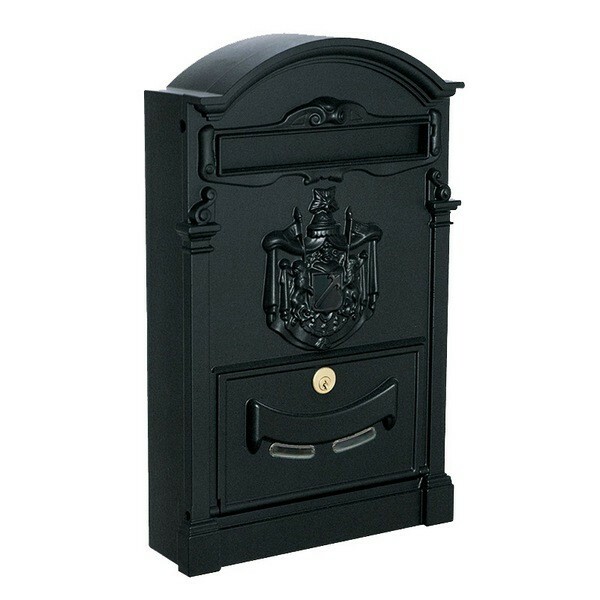 The Regency Black is a traditional stylish mailbox that takes A4 mail and features a fancy regal crest on the front. The mailbox is secured by a Key Lock supplied with two keys. The mailbox is weather resistant and suitable for wall fixing. Alubox Regency Black Traditional Letterbox. Key lock supplied with two keys (lock is made from brass). Easily looks after A4 post. Made from high quality die-cast aluminium. Suitable for wall or fence fixing (fixing kit included).